An apology from Renowned Furniture to all our readers & followers! We’re just simply too busy to make this edition of our bi-weekly newsletter any kind of a complete, ‘newsy’ publication, so please forgive us, but the in-flow of projects has all of us here running a bit quick. 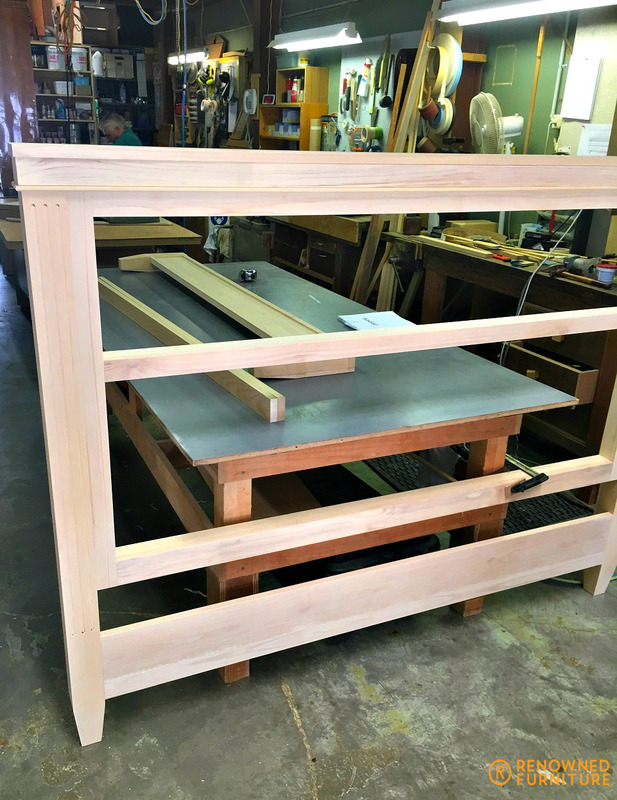 Today’s newsletter looks at just a few of the projects currently progressing through our humble little shop. 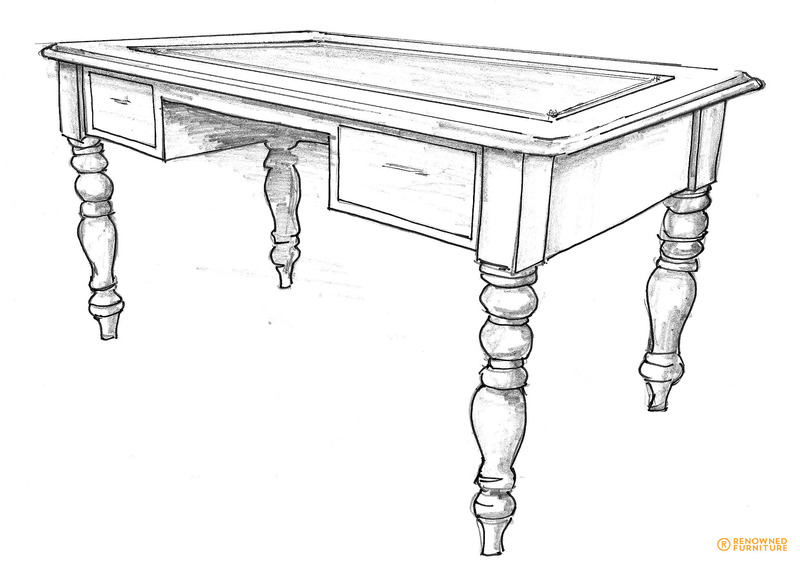 There’s A 10 seat solid English oak table designed and being built from scratch by one of our fine master craftsmen. There are several restoration projects that we’re working on for interior designers (both for their clients and for themselves). 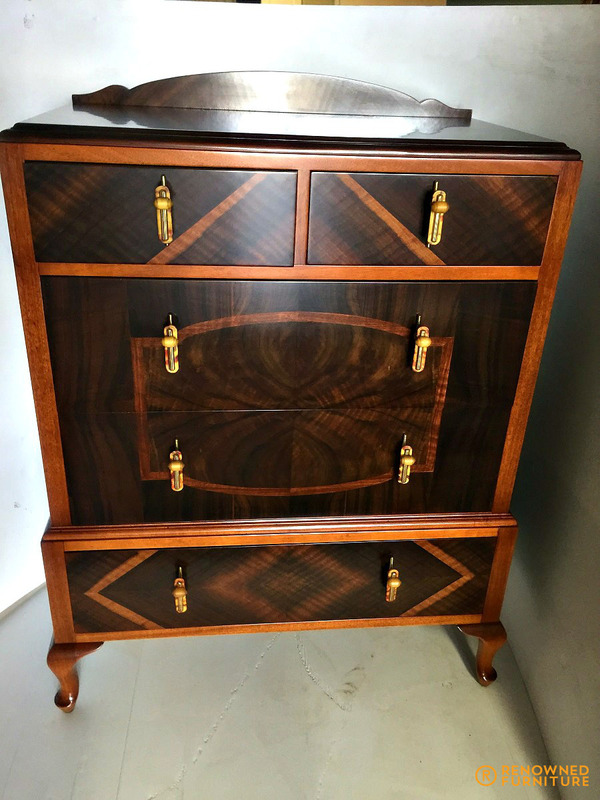 There’s a beautiful silky oak full height display cabinet we’ve designed and are now halfway through building for a guy that collects Royal Dalton pieces. 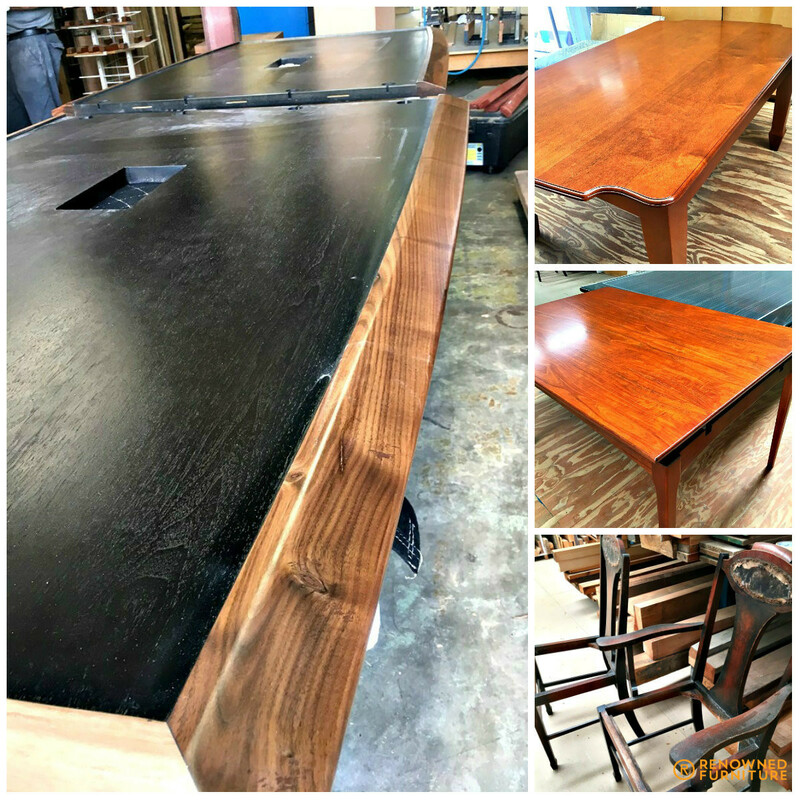 There’s some amazing antique Japanese pieces (buffets & chests & desks, etc) that we’re restoring for a client and they wanted each piece to look “raw” rather than polished. So through a long process of research, we’ve found a polish that you simply cannot see at all once it’s been applied. You can only feel it to touch. I think it’s going to look amazing. We’re almost done on 2 very old captain’s chairs. 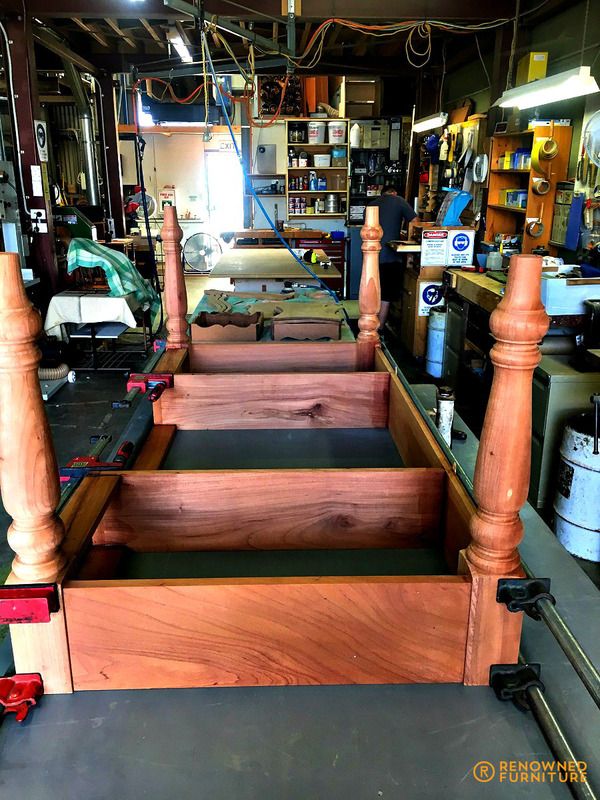 We’ve started on the conversion of a treasured old oak queen sized bed to turn it into a king size bed with individual base springs that rise & lower. There’s yet another beautiful old BMW dash board being repaired, re-made in some parts & repolished. 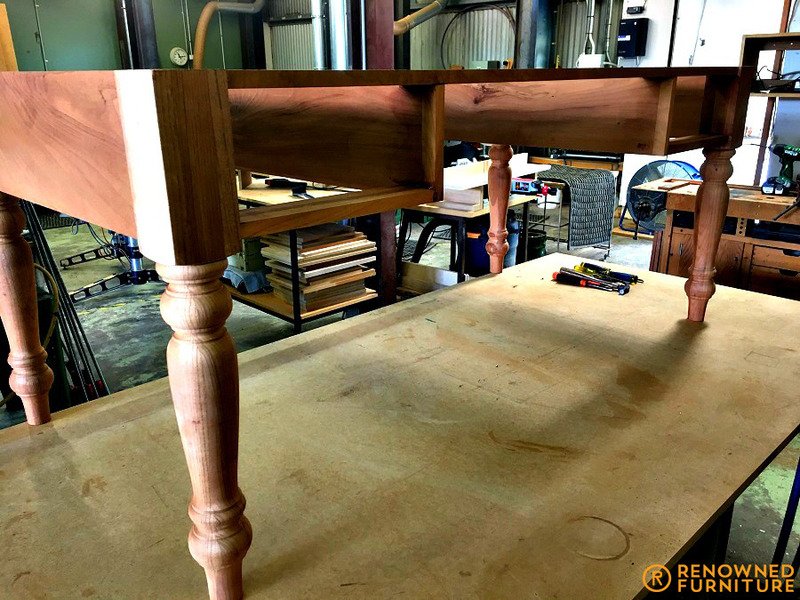 We’re still pumping out some custom made solid walnut board room tables with Italian chrome legs. 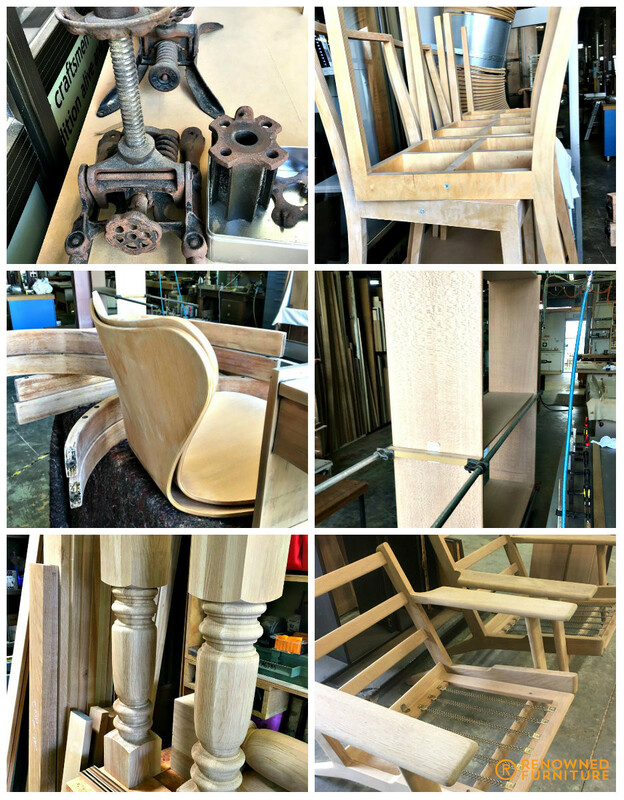 And finally some silky oak dining chairs being restored, as well as a beautiful parker table and a solid silky oak table all ready for delivery following restoration. The books are full, the bank account is healthy and the team is happy! “TOUCH WOOD”! or “KNOCK ON WOOD”! What’s our secret to success? We’ve been getting asked this question for a year or so now, ever since our regular clients (private & corporate) have seen the massive changes to our system throughput and the general vibe surrounding Renowned Furniture these days. Ever since we took over from our predecessors, we’ve been implementing change and improvement. Slowly at first so that the staff could keep up and now with just a little more vigour! The 4-fold increase in turnover and profit has not come easily. There have been casualties along the way. I’m proud to say, only one team member and he is sadly missed, but also quite a few old clients who were used to getting jobs done for just a little over cost and this was simply unsustainable if we wanted to grow. We are now in the enviable position where the day to day enquiries are actually sorted through from the jobs we strategically want (and know we can afford to do) to those that are obviously unrealistic in terms of budget expectations. Those jobs can happily go to the home hobbyists with no overheads or small companies doing little more than surviving. Our prices are realistic and structured such that we can be here next time you come looking for skilled local craftsmen as opposed to the many ghosts we are currently surrounded with. We now own some of the plant and equipment purchased from similar companies that have since closed their doors for various reasons. 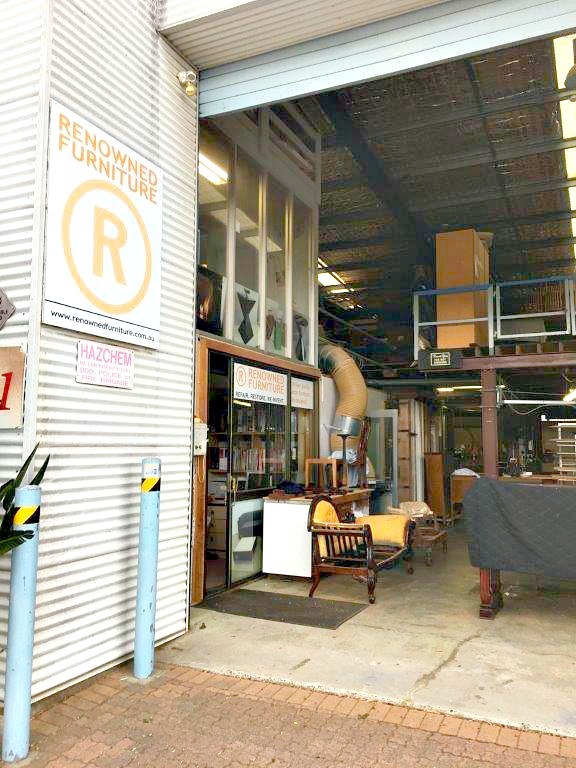 Among our very long list of esteemed clients that includes Churches, schools, socialites and business people, we can also proudly add many of the big insurance companies, and large shop fitout companies looking for those ‘champion pieces’ to set them apart from the rest that turn exclusively to Renowned Furniture and refer to us as “preferred suppliers”. Our award winning quality and finish is second to none. Furniture made by Renowned will last a lifetime or two. So I suppose my answer to the question “What’s our secret to success”? is: All of the above and more, I like to think. 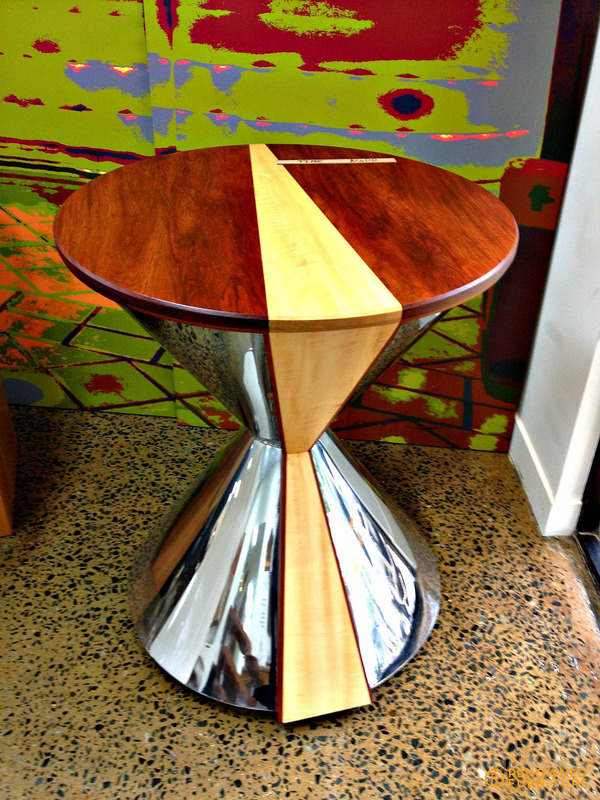 XYZ Australia has worked with Renowned Furniture for approximately 12 months. In this time we have been very happy with all levels of our dealings. The quality of workmanship is of an exceptional standard, and is backed by excellent service through open and ongoing communication to meet end client expectations. XYZ Australia has every intention of continuing our relationship with Dan and his team, and we would have no hesitation in recommending their services. 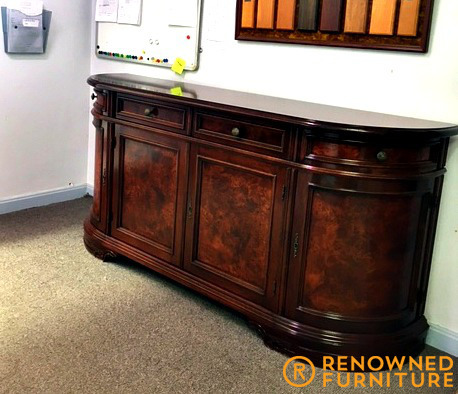 ABC Services QLD has been working alongside Dan and his team at Renowned Furniture for nearly 12 months. During this time, they have been able to show without a doubt what wonderful customer service and workmanship that they are able to provide to our company and the high end clients that we service. 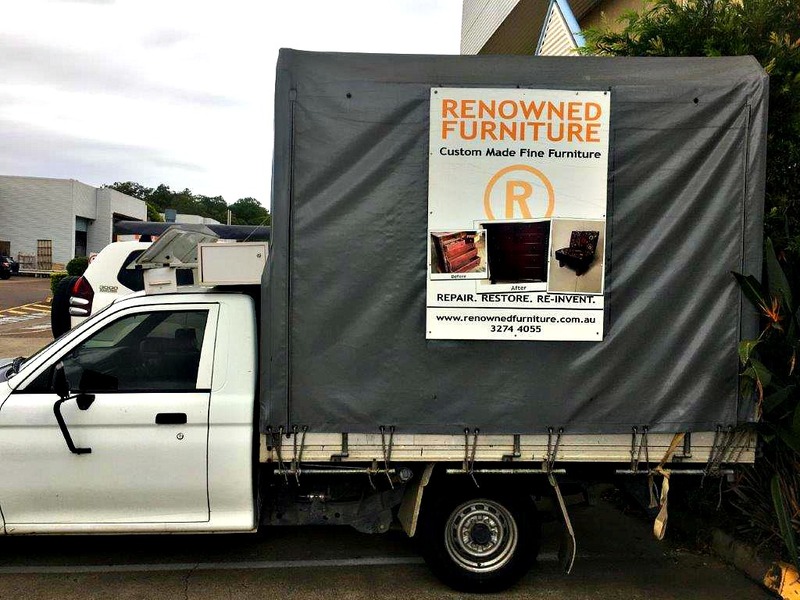 http://renownedfurniture.com.au/wp-content/uploads/2014/12/logo1.png 0 0 Ross http://renownedfurniture.com.au/wp-content/uploads/2014/12/logo1.png Ross2017-02-23 14:39:252017-02-23 14:51:12What's our secret to success? Continuing on from our recent updates, we seem to be gaining some real ground in regard to market penetration and consequently, market share. The enquiry levels we are fielding these days has me run off my fingers (typing replies and quotes)! What we turn into orders is now also at a level where we are hiring new staff as well. Not bad for an industry ‘on its knees’ when you listen to the mainstream and to the furniture industry spokespeople. I’m going to place something at the end of this newsletter to see how many read to the end, by the way. 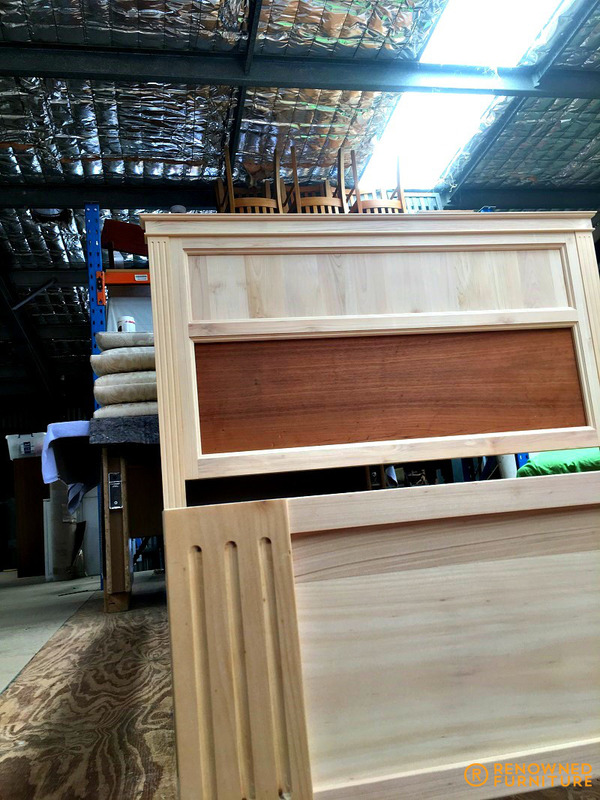 Here’s a look at a recent job we won over our industry colleagues, possibly on delivery time, possibly on price, but I think we won it on the fact that we hold some of the rarest and genuine Queensland rain forest red cedar there is around. 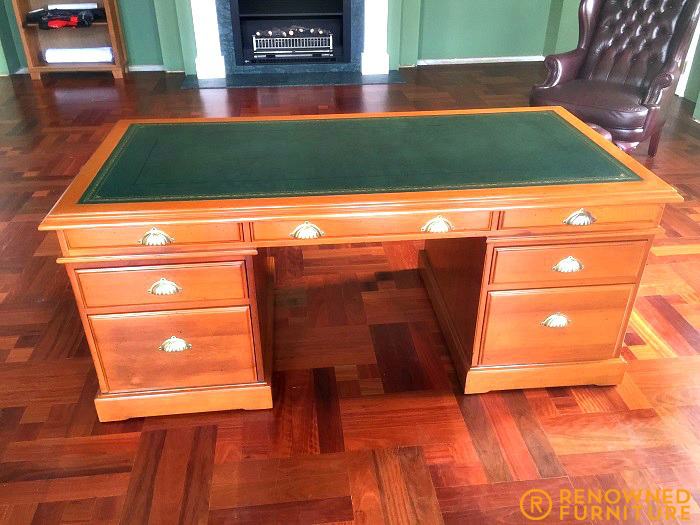 It was felled more than 40 years ago and stored carefully, so it’s now going into select jobs where the client can appreciate the value, the history and the fine craftsmanship applied. Getting back to the business progress, we are now fielding enquiries with some heavy hitters in the building, design and transport industries. These high level enquiries are easily supported by our history in first class performance and by some glowing trade references that we have received over the course of the past few years, many of them spontaneous. We’ve covered projects big and small and all with the same degree of “white glove” treatment that our clients have come to appreciate and expect. 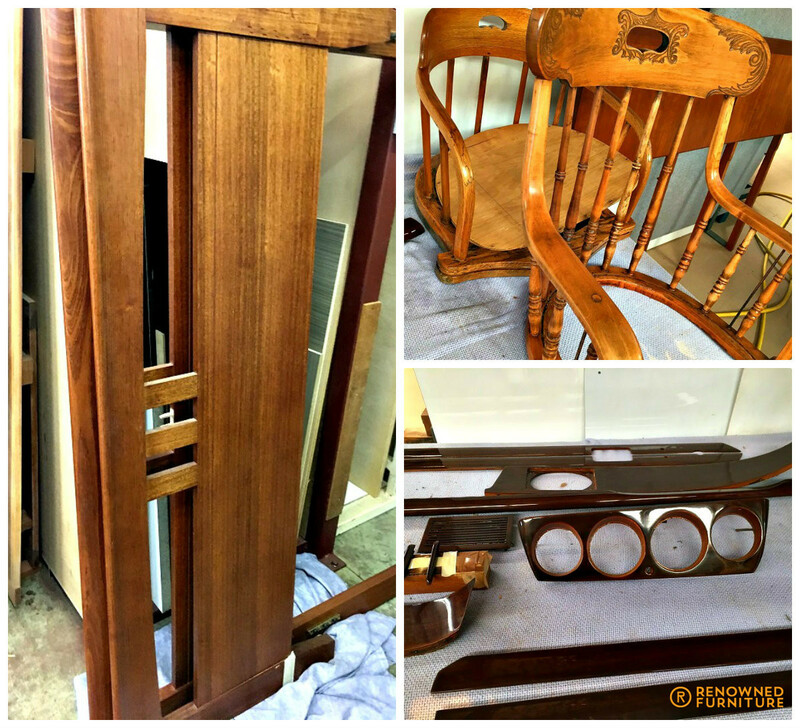 A new level in service as well as good old-fashioned master craftsmanship! You’ll appreciate that we make a lot of dust in our business, especially when we’re as busy as we are right now. Well, the main office (not all that far from the action) does get pretty dusty (no matter how often we clean). We decided to do an overdue full clean. Removed everything, re-painted, re-furnished (you know the saying: “A plumber’s tap always drips”?). Well, we decided to fit-out the office with some of our fine display pieces so that we can live among the magic. 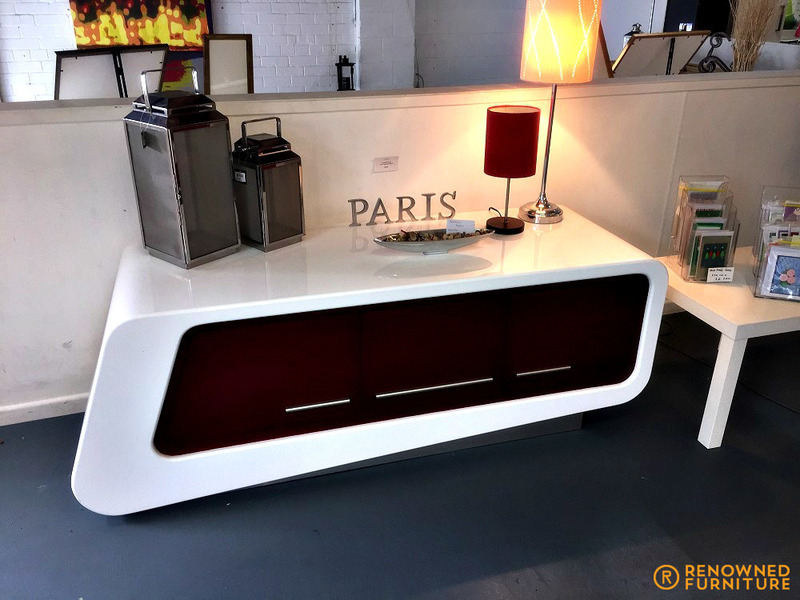 We’re considering strategic product placement of some of our fine display pieces and wondered if anyone would like to ‘throw their name in the hat’ for possible recipients of some fine pieces for their foyers, offices, display areas, etc? If anyone’s interested, just email me on dan@renownedfurniture.com.au and we’ll see if we can find a fit. Hello again to all who spare the few minutes it takes to see what we’re up to. Hello also to our opposition on-lookers who’ve subscribed to our posts and newsletters! We see this as pure flattery and I hope you do manage to glean something from our little downloads. We do feel a little like we are starting to lead the way on several fronts, not the least in our approach to marketing, the open book way we keep our staff and our clients completely in the loop, some of our achievements with suppliers relationships, and so on. We measure our success, profit, sales hit rate, staff and client satisfaction weekly. Come to think of it, we do measure the reader open rate and the recipient pass on or forward rate etc., but we don’t really know what you think of our simple little downloads, so if anyone feels like it, why not tell us? We’re fielding some massive enquiries at present and and while some may well take up to 12 months to come to fruition, the opportunities are certainly out there – just like our name.. Some interesting opportunities are opening up in assistance with design, building of prototypes for larger design/architectural/concept groups, and it seems to me that custom made fine, one-off type pieces for single discerning clients is really just the tip of the iceberg of what Renowned can offer. These opportunities also open up some amazing doors. There are some companies that we’re now dealing with, including new orders received as recently as yesterday, so big that we’re not even allowed to mention until I get official clearance! It’s good to have the doors of this old business flung wide open in so many ways. For a start, the management and the staff can now breathe (in more ways than one)! 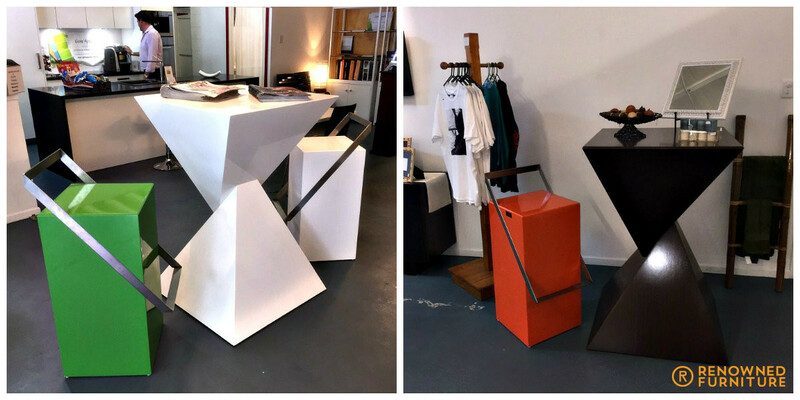 The creative juices are flowing and some mighty fine pieces are leaving our shop on a daily basis. To all our readers, we at Renowned wish you all a Safe and Prosperous New Year! With each new year, comes a time for reflection and goal setting. 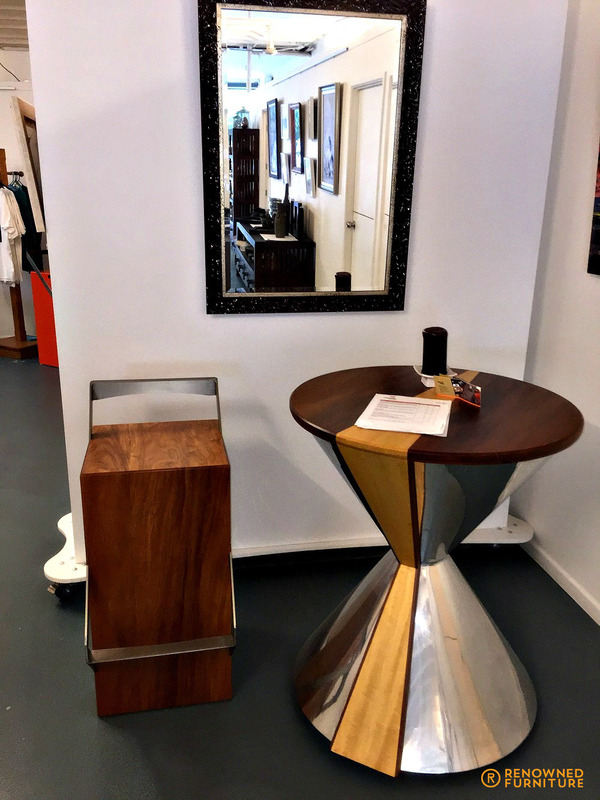 Reflection for us is the constant warnings that this industry niche of master craftsmen/custom made, fine furniture pieces is on notice. On notice to keep sharp, remain vigilant and mind your business! 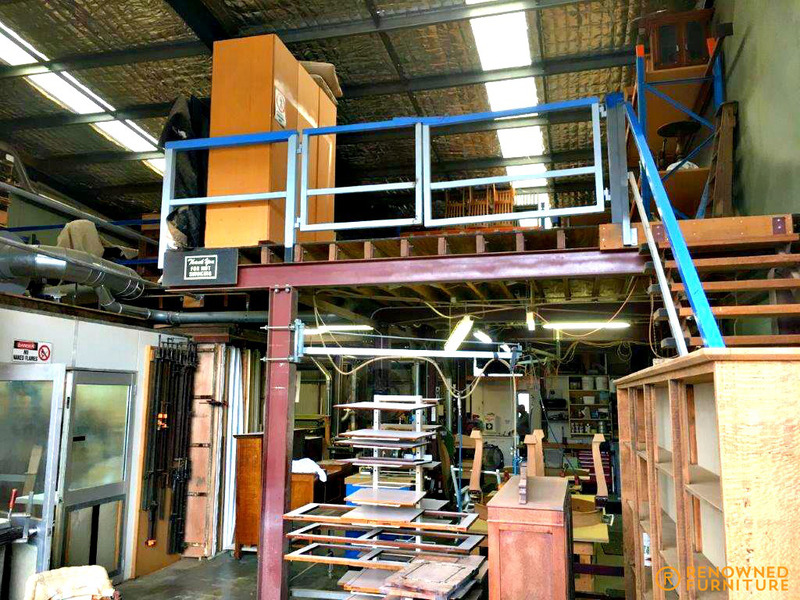 Every year, we are contacted by liquidators, business owners and industry groups to see if we’d be interested in buying a pile of second-hand equipment that suits our business due to ‘xyz furniture makers’ or ‘abc furniture restorers’ going out of business – some voluntarily and some being wound up. So, needless to say, we keep getting these reminders to do the following: Get back to the basics: Look after your staff, “cashflow is king”. I’ve always liked that saying but I feel like it lacks follow up so my interpretations as follows: profit is queen and good will is princess and prince, duchess and duke, marchioness and marquees, countess and earl, viscountess and viscount and the baroness and baron! In the past 3 years, Renowned has worked very hard to increase sales, and we have done so to the tune of 60% growth, then 40% and this financial year, we’re on track to achieve a further 30% growth. Sounds like a lot, but to put it into perspective, when I purchased this business back in 2012, it was turning over a mere $200K and profit margins were all but non-existent! So really, the business survived on love, love of creating fine pieces, love of running one’s own business and love of interacting with great/like-minded people. Hopefully, we have managed to keep a little love alive since our take-over (we certainly get that vibe from a lot of our clients once they take delivery of their completed pieces and our suppliers). But just as importantly is that this business is now paying its staff some of the highest craftsmen wages in Brisbane, providing them with the best possible working conditions and paying its directors (myself & my wife) a reasonable fee along with benefits for our efforts so our goals are almost met! We still have a way to go. Margins could be better (always!) and we do lose jobs purely on price from time to time (sometimes you have to simply say: “we can’t afford to do that job”). So we work towards better flow in the workshop: Time in motion studies, cleaner working conditions: Helps with WHS, motivation & quality and better admin systems: Document every phase of the process, keep all the staff trained so that multi-tasking comes naturally and so that the business can function without you! (the directors!). Keeping a business plan up to date and alive as well as a succession plan to follow is also extremely important when you are headed towards the goals ones sets!! 2017 is the year of automation for us. Automate the parts ordering, client forms, job forms, quality control & scheduling. 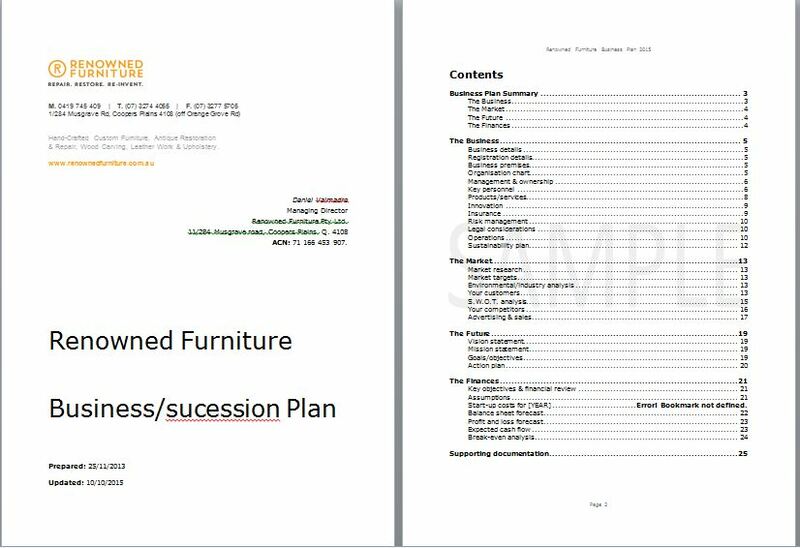 A 60 page “Renowned furniture instruction manual” is almost completed and it becomes a very powerful and very valuable document when anyone on the staff can pick it up, follow certain sections and execute a job from initial call/email enquiry, all the way through material ordering, set out, build to delivery & invoicing. 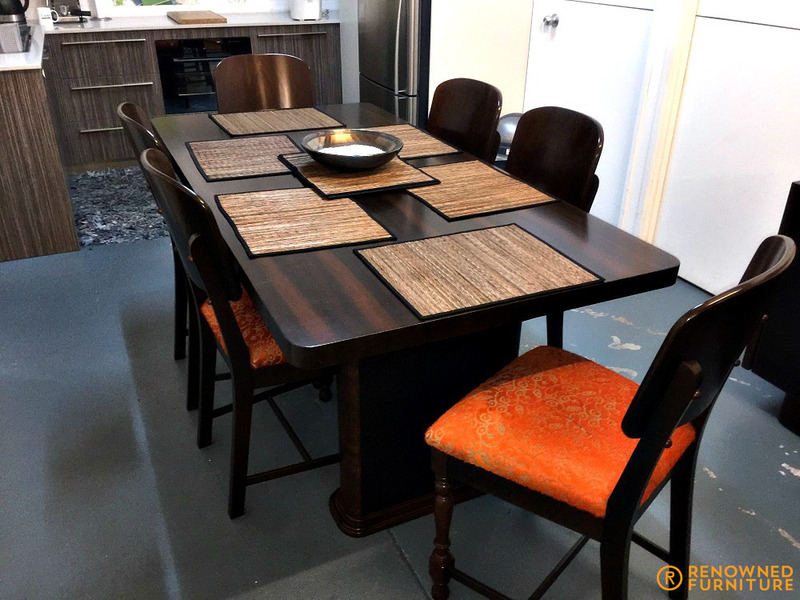 The end of the year is coming up fast, and it’s the time of the year that we, here at Renowned Furniture, look back at the projects, big and small, that we have done throughout the year. 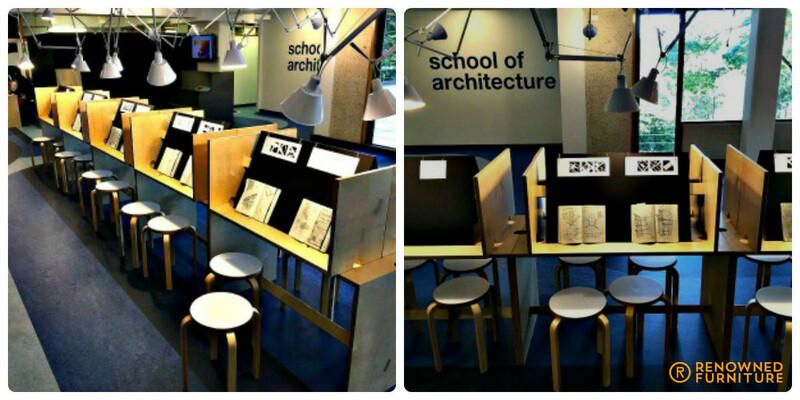 One of several big projects that we did this year is the plywood seating and tables commissioned by the School of Architecture of the University of Queensland. 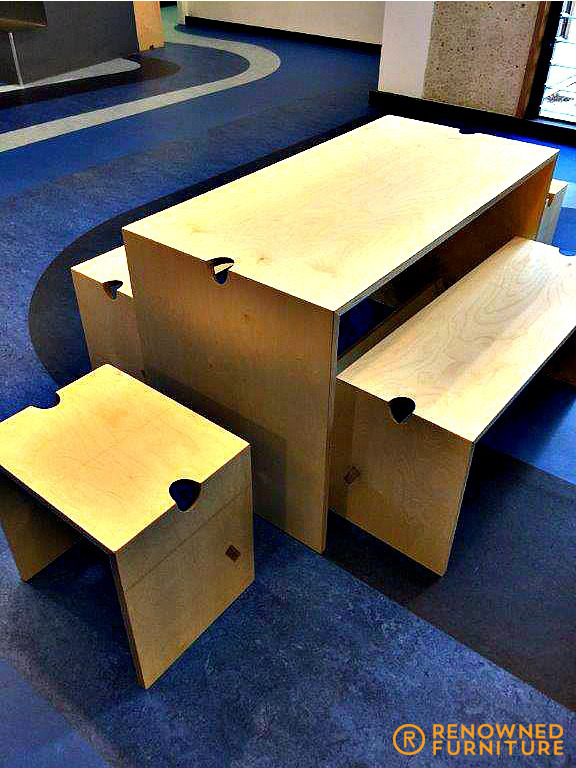 They are multi-use pieces for the students’ common area that can be turned upside down and used as artwork stands as well. The school was very pleased with our work that they ordered more seatings and tables – and we delivered! 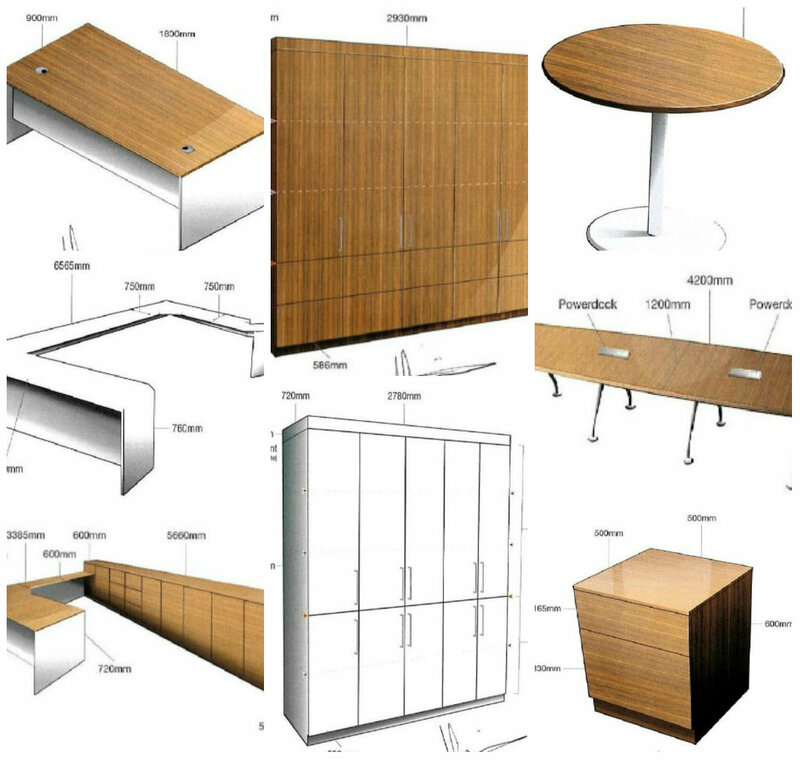 Another major job for us was an order to design, manufacture and polish more than $40,000 worth of fine, commercial furniture for a major international supply & fit out company. From sketches to the real thing! Renowned has also gone musical this year. 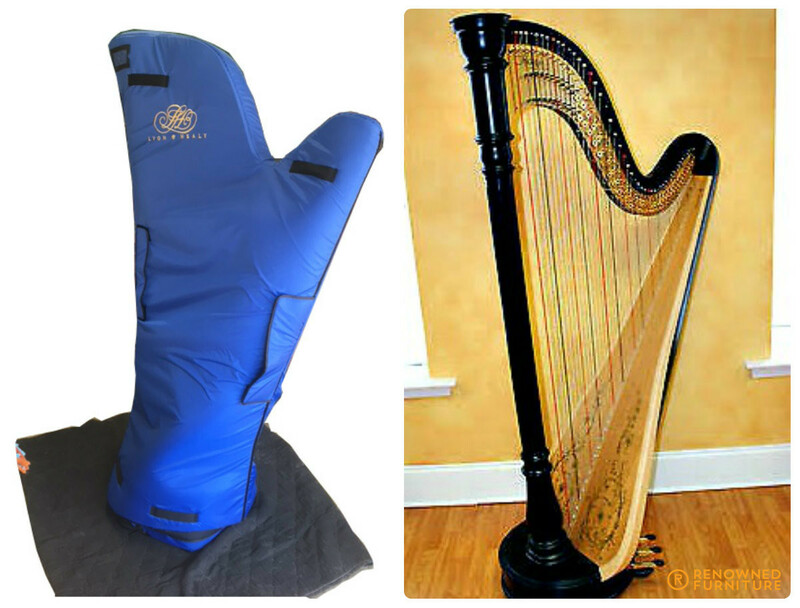 Who would have thought – from fine furniture to musical instruments! 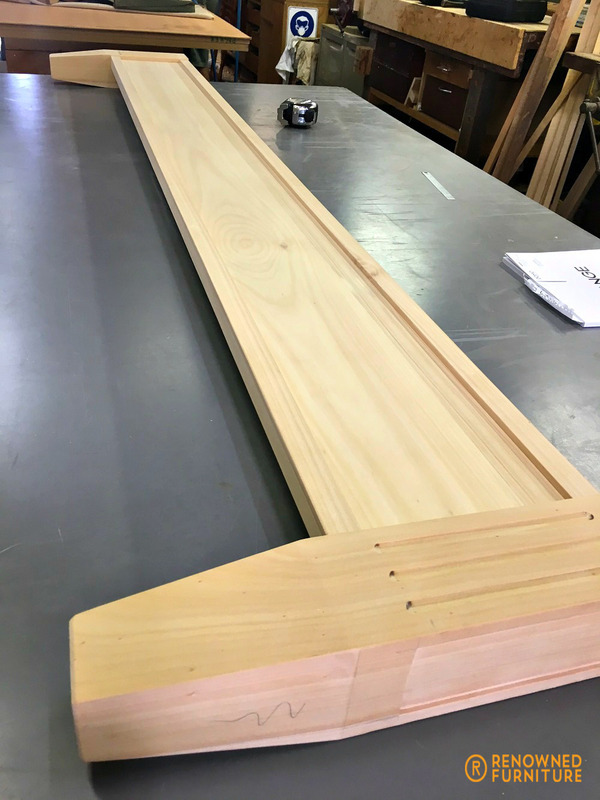 In the latest transformation for Sam’s Harpsichord, which dates back to the early 13th century, we added some turned legs and a fresh look. This newly restored harp is ready to make beautiful music once again! We finished repolishing this beautiful concert harp without incident. 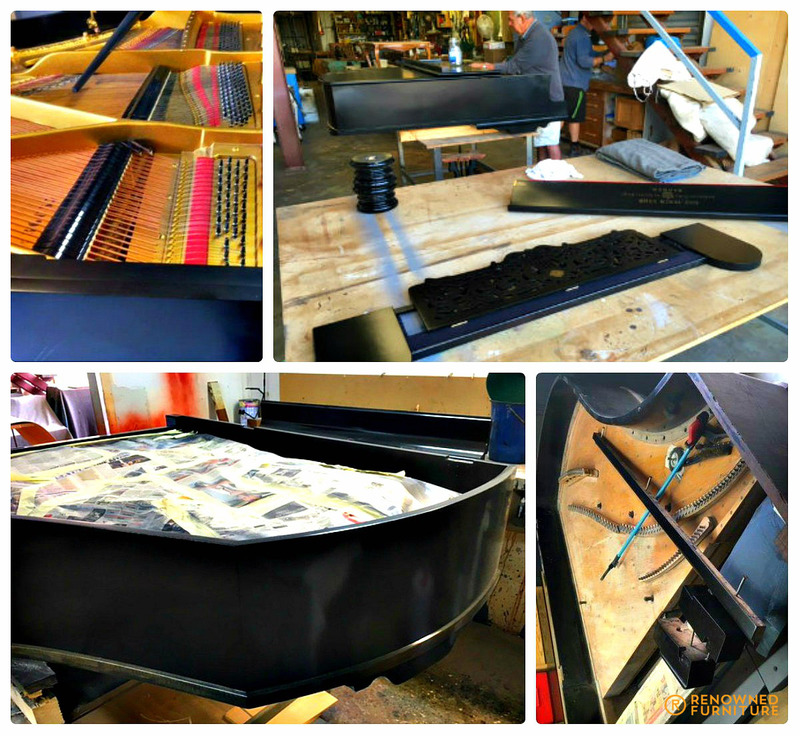 Lastly, we were given the job of bringing a 1898 Ibach ¾ grand piano back to its former glory. 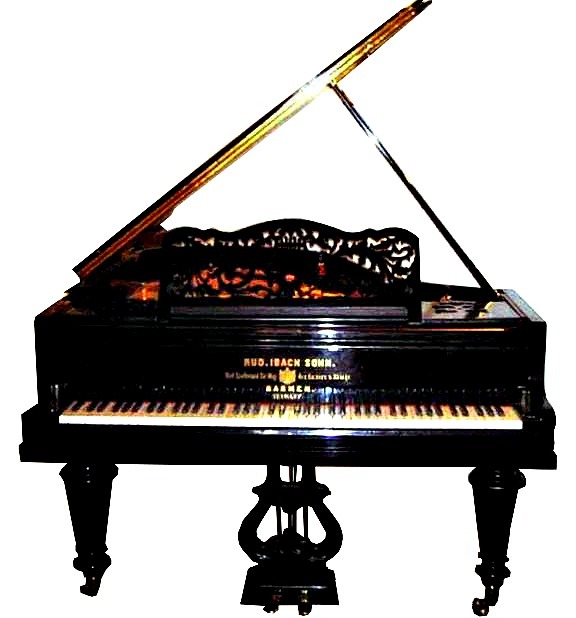 This piano is a family heirloom, having been with them since its original purchase in the 1870s. 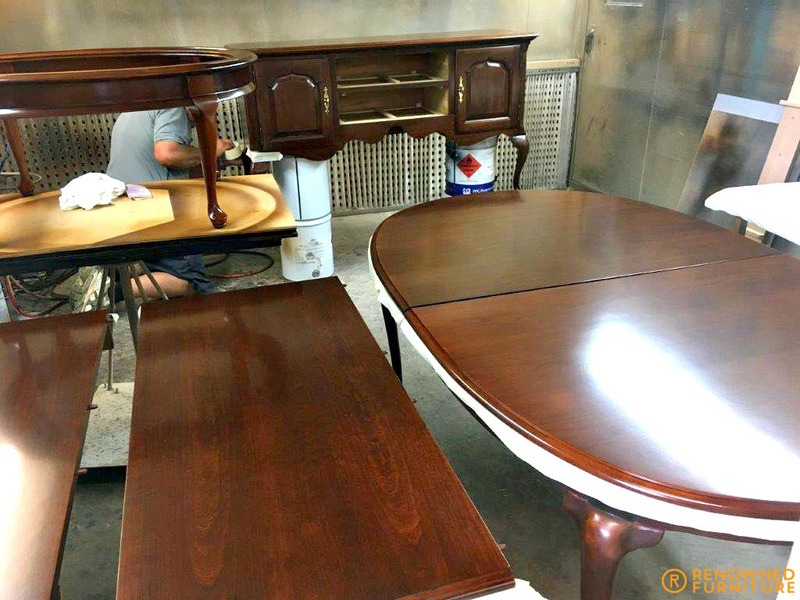 During this process we unearthed several “sins”, hiding beneath layers of polish, that previous restorers had committed on this beloved family heirloom. 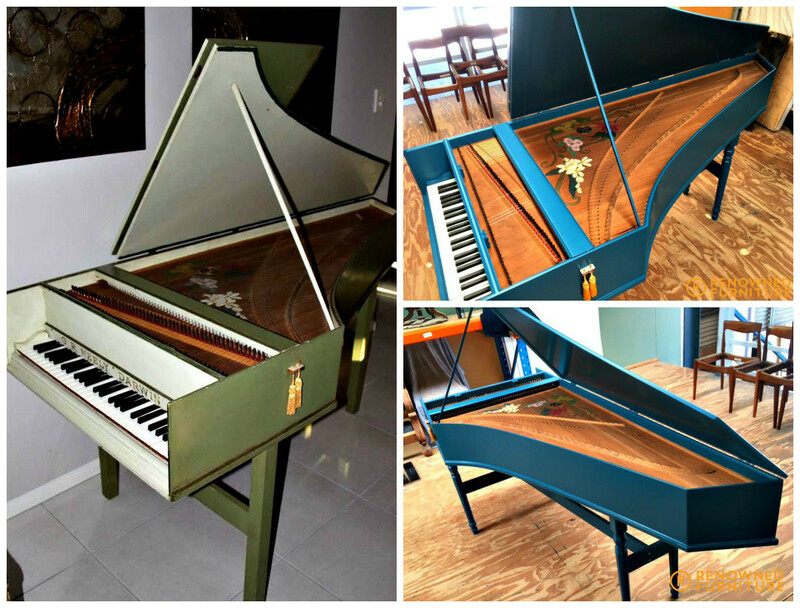 We completed the complex and delicate restoration of this grand piano – a true testament to the skill and expertise of our master craftsmen. We’ve been busy this year, and the coming year is shaping up to be even busier. We’re not complaining, though. We are up to the challenge, so keep ‘em coming! Fine Furniture: Buy local or buy global? Support importers or try buying local where possible? It’s important to be fully aware of what you’re buying to be sure your investment is in the product and not in the costs of getting it here. 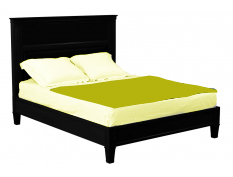 The pictures scattered throughout this Newsletter are of a bed we were asked to work on. They say copying is the best form of flattery: We know ourselves that we (our designs) have been copied more times than we can recall. William came to us with a product that he liked. However, there were a couple of drawbacks and he requested some guidance. We provided a mix of our design and the concept he gave us to arrive at a compromise. Most importantly, a finished product within 6 weeks rather than something like 6 months. You see, in these times, importers are taking less risks and only importing consolidated shipments and where possible as much “pre-sold” as they can to minimise their exposure. Funny thing is, our price was comparative to the imported unit anyway. The other big issue is this: Perhaps too many of us overlook the fact that buying a product from the USA or UK or Italy brings with it a premium price based on our assumptions or perceptions that the quality is of the highest standards, whereas perhaps some of the similar or comparative products sourced from some Asian countries come at a lower price and possibly, or therefore, a lower quality. This is no longer the case. Much of what we buy from the US, Europe, etc. has been made in SE/Asia, shipped to the country where its design origins rest and then on-shipped to wherever (including Australia), so in many cases, you’re paying for a whole lot of freight and logistics together with a name. (that promises quality) rather than a product “made in Italy” wherever else. The Asian countries I refer to have vastly lifted their game, their quality standards and in many cases, their treatment of workers as well, so we are inevitably moving towards a global village where Asia (for a start) is cementing itself as one of the major manufacturing hubs within that village. I, personally, see a lot of good coming from this, but I also like to point out to folks that pass through my door, some of the facts discussed here so that if they do wish to consider buying local, they are at the very least, well informed. http://renownedfurniture.com.au/wp-content/uploads/2014/12/logo1.png 0 0 Ross http://renownedfurniture.com.au/wp-content/uploads/2014/12/logo1.png Ross2016-11-24 11:47:122016-11-24 11:49:29Fine Furniture: Buy local or buy global? In the last newsletter, we announced winning a contract with a big company. From the 3D renders, here are some of the progress shots for you. Progress is good and we are very busy beavers at present! 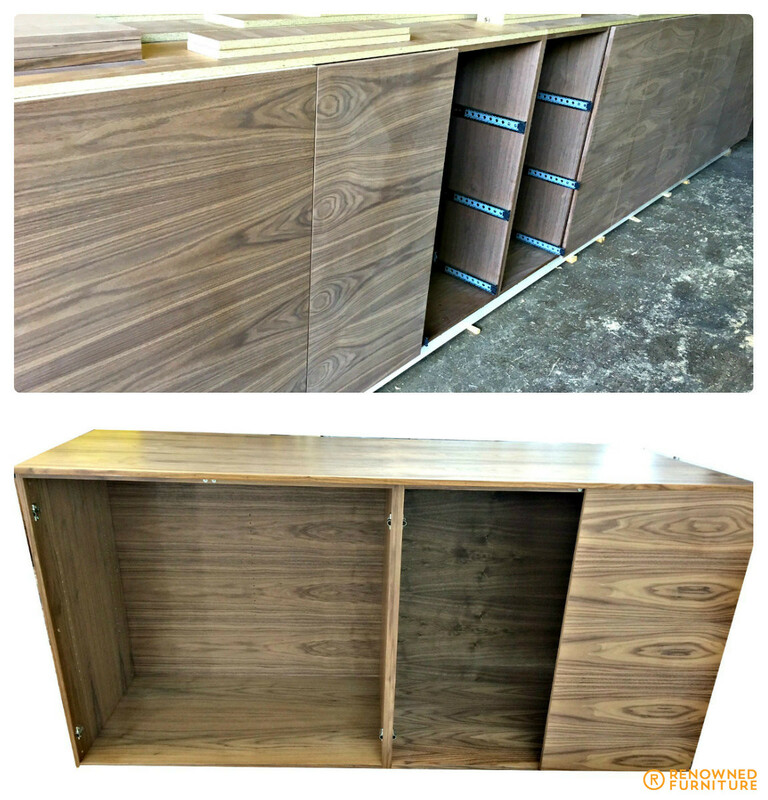 American walnut, solid core veneer, German cabinet hardware and fine polishing finishes are being added, all to make for some really high class fit out furniture. 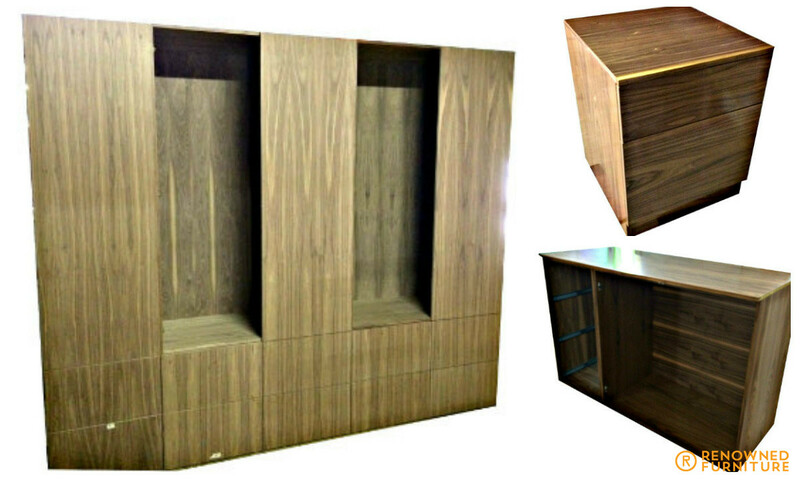 One of the timber file drawer sets and a section of the large Credenza. 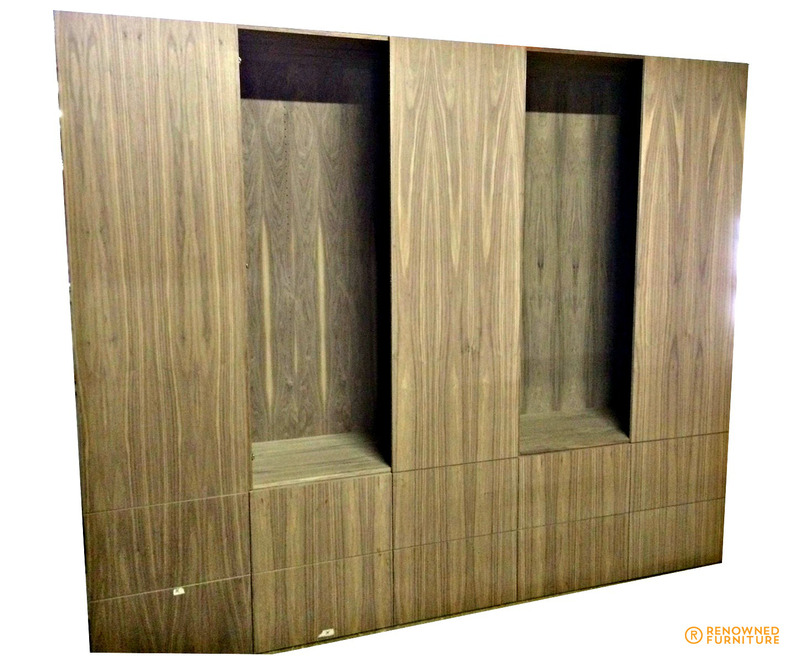 Large timber cupboard with file drawers. Every piece is grain matched!